A few weeks back, one of my lovely clients got in touch asking for some advice on how to style a couple of pairs of peg leg trousers for the summer. Peg leg trousers are a great item to have in the wardrobe, they’re perfect for work, home and evenings out so they really will get a lot of wear. 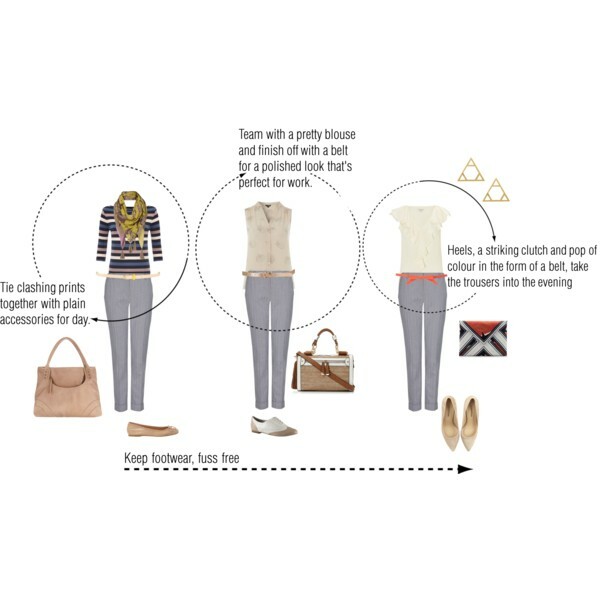 But while they might be versatile, there are a couple of things to bear in mind when pulling together your outfits. Firstly, if your trousers have pleats around the hips or waist then make sure you tuck your tops into them. If you don’t, the pleats will add bulk under the top and will be unflattering. And secondly, keep an eye on the length of the trousers; cropped trousers rarely come in leg lengths so you may find they need shortening (or lengthening) a little to fit properly. My favourite look with trousers like this is teamed with brogues and a little blouse, but as you can see there are plenty of great ways to style them up! As usual, if you have anything you’d like me to help you with then email me here, I’d love to hear from you and to feature your question on Hip Shapes! Previous Post Is It Time To Change Your Shopping Habits?